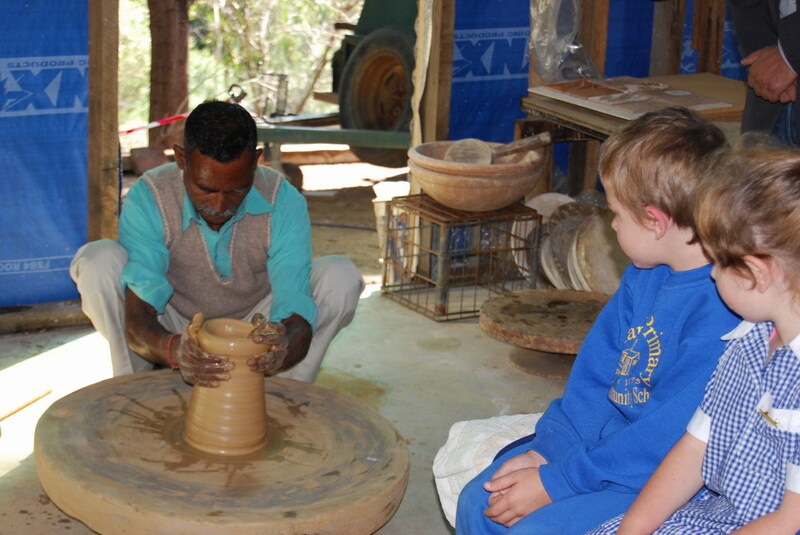 From 2003, whenever potters have been visiting we have presented workshops at local central Victorian schools in particular Tallarook Primary School. Some of these students are now in their 20's. I have been told making a pot with these visiting potters has been one of the most memorable experiences of their school days.I have also found it very rewarding to observe how positively students respond. On asking the potters if they tire of working with so many children in a day Giri Raj Prasad responded , how could he, he saw the eyes of god in each child.